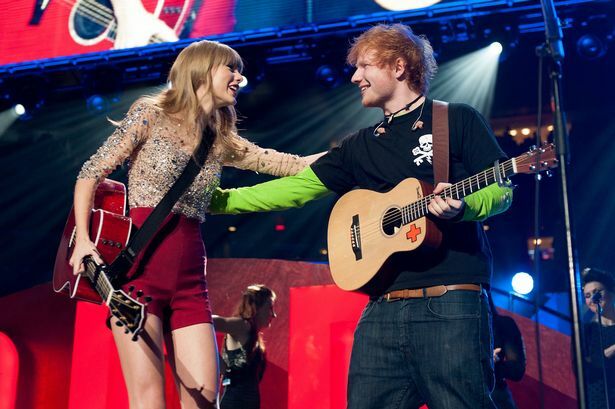 Taylor Swift & Ed Sheeran Unite On Stage! Taylor Swift and Ed Sheeran reunited on stage in New York this week during Ed’s sold-out show. The British singer, who opened for Taylor during her Red tour, played Madison Square Garden and invited the American country star to join him as a guest performer for the song they wrote together ‘Everything Has Changed’. The Grammy Award winner gushed about her upcoming performance alongside her good friend earlier in the day. “He’s one of my best friends,” Taylor told E! News. The 22 hitmaker was Ed’s first choice for the gig when he found out she would be in the area promoting her new Christmas holiday collection for shoemaker Keds. Taylor became a fan of Ed’s music in March 2012 and the duo have since co-written and sung on her single Everything Has Changed. At the Billboard Music Awards in May, Ed revealed just how close they are. Friday night’s performance will come just a day after Ed’s small show at the Mercury Lounge. The venue is the first place Ed ever played in Manhattan a year-and-a-half ago. MTV News reports the musician played three tracks during the latest show, including one named Forever, which he denied was about Taylor despite fans’ screams suggesting so. The red-haired crooner was also looking festive in gingerbread man costume in a nod to Halloween.